Eagle Court of Honor! 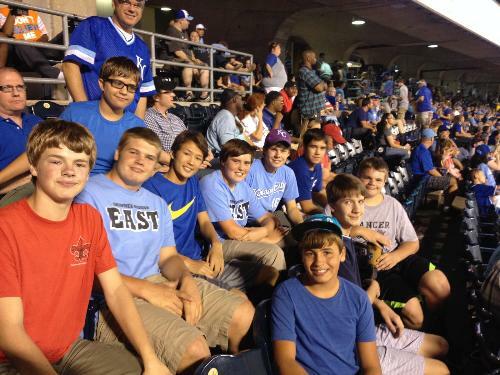 KC Royals Game! 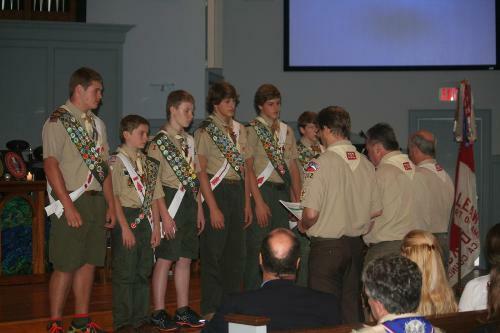 Troop 282 is a registered Boy Scout Troop operating within the Heart of America Council, Trailhead District. 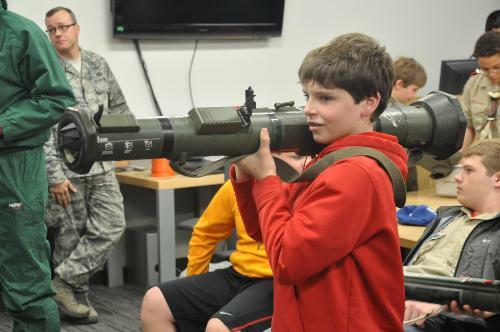 The Chartered Organization for the Troop is the Leawood United Methodist Men, 2916 West 95th Street, Leawood, KS, an auxiliary of the Leawood United Methodist Church (LUMC). Our troop recently celebrated its 50th anniversary and is very proud of its service to the community. Our membership is composed of scouts from many different high school attendance areas. We currently have approximately 85 registered Scouts, 60 of whom are very active. Your son’s interest to crossover to Boys Scouts and the Troop he selects to join are vital to his success as he matures. Regardless of his Troop selection, deciding to continue in Boy Scouts is admirable. All Boy Scout Troops are fantastic and each has unique and positive aspects. · Scout Leadership – Our Scouts run our Troop. Troop 282 utilizes the Patrol Method where Scouts are divided into Patrols of about 10 boys each. Each Patrol has a Patrol Leader and Assistant Patrol Leader as well as other positions of responsibility such as Quartermaster and Grubmaster. Patrol Leaders are members of the Patrol Leader Council which is led by a Senior Patrol Leader and his Assistant Senior Patrol Leaders. These Leaders work closely with our Scout Master regarding all aspects of the Troop. First Year Scouts will be assigned to an existing Patrol but come back together as a group to work on specific First Year Program activities from Crossover until Summer Camp. · Adult Leadership – We have numerous Adult (Scouter) Leadership positions that are organized under two areas, the Program and the Committee. The Scoutmaster is the Unit Leader and heads the Program which involves all activities that involve the scouts. The Committee Chairman leads the Committee of supporting adults in positions like Treasurer, Registrar and Trainer. There are many opportunities for adults to be as active as they like in the Troop and to share their personal gifts in roles that suit them the best. Adults provide transportation, organization, and safety, but really just try to keep up with the Scouts. Our Adult Leadership is fully trained by the BSA for their specific leadership role. Adult Committee meetings are open to any and all adults and are held monthly. · Troop Meetings – 7:00 Monday nights at LUMC. · Camping – Camping is a huge part of our programing. 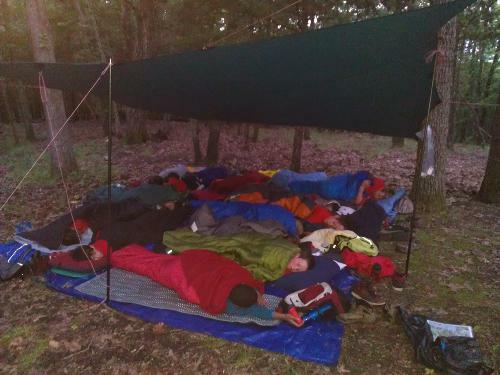 Troop 282 has regular monthly campouts. Activities and programs vary and have included: caving, canoeing, sailing, hiking, Civil War reenactments, snow skiing, water skiing, wake boarding and surfing, and many other exciting outings. 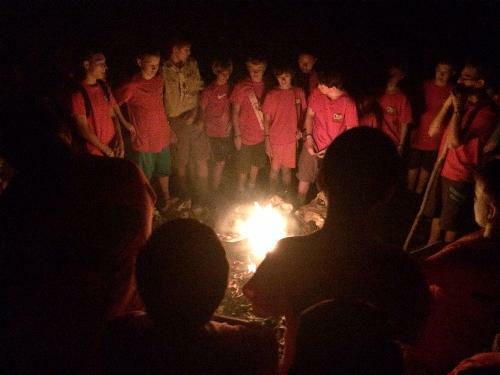 The Troop’s Scout Leadership, with the help of our scouts, choose our campouts and programs. · Christmas Tree Lot Annual Fundraiser – Our Troop sells Christmas Trees and Holiday Greenery from our Tree Lot at Leawood United Methodist Church. This is our primary fundraiser and has been successful for several years. Each Scout is required to work a determined number of shifts at the Tree Lot. Scouts do earn money while working at the Tree Lot and many Scouts earn enough money to pay for their Summer Camp or other activities such as High Adventures. · Scholarship – Troop 282 has several scholarships available for Scouts that may not otherwise be able to pay for Summer Camp, High Adventure, Uniforms, etc. Confidentially speak to the Scoutmaster or Committee Chair if you have a need. 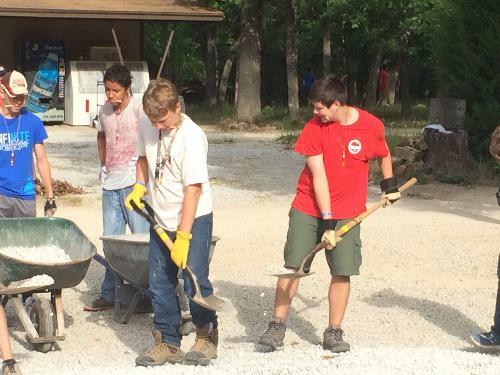 · High Adventure – Troop 282 works to provide multiple High Adventure opportunities for interested Scouts. These include Philmont Scout Ranch in New Mexico, Boundary Waters in Northern Minnesota, Rocky Mountain High Adventure in Colorado, Seabase in the Florida Keys, Blackbeard Cruise in the Bahamas, etc. We have had Scouts participate in all of these experiences! · Camporees and Jamboreess – Troop 282 participates in District Camporees and Council, National and International Jamborees as opportunities are available. We have not had any Scouts participate in an International Jamboree in recent years, but the opportunity is available and scholarships exist if support is needed. 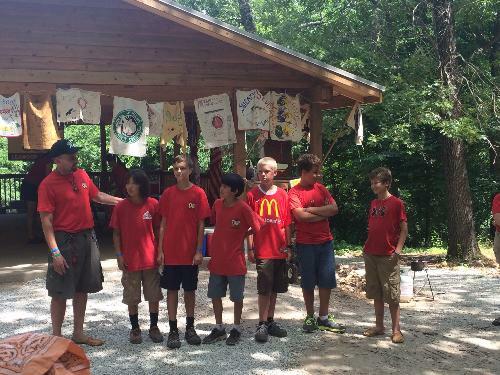 · Summer Camp – Troop 282 attends the H. Roe Bartle Scout Reservation in Osceola, Missouri each summer for 10 days in the woods! This is an exciting time for these young man and often greater than 2/3 of our scouts attend each summer. We thank you for your interest in Troop 282 and hope that we will be your Boy Scout home. You are welcome to be part of our family and remember above all else, Scouts, Adult Leaders and Parents have the most fun at Troop 282! If you have any questions, please do not hesitate to call any Adult Leader or Parent in our Troop.